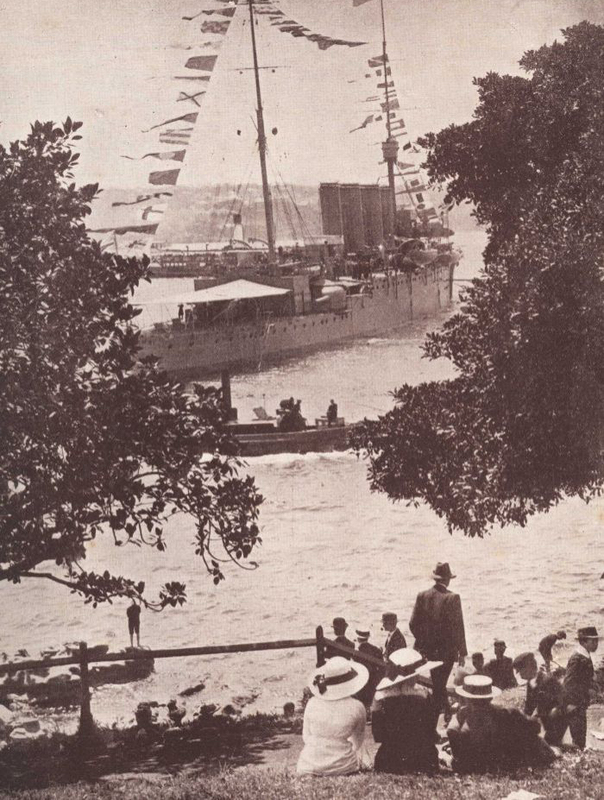 One hundred years ago the HMAS Australia sailed into the Sydney Harbour. It was a momentous occasion for the fledgling country and thousands of people gathered to see the new Australian Fleet Unit. 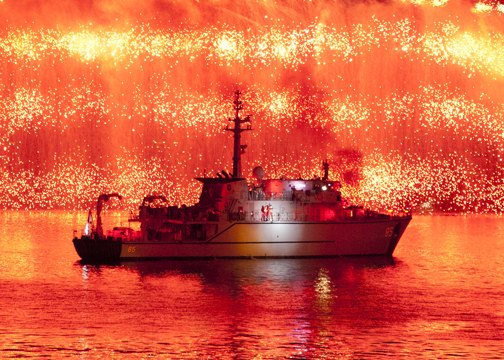 In order to mark the 100th anniversary of that occasion, the navy orchestrated an International Fleet Review with helicopter displays, 21-gun salutes, and a military band rendition of current pop songs. “WHO LIKES PINK?” the singer caterwauled as she stomped her feet and clapped her hands. She was the rare kind of artist that could transform a bad song into an overwrought opera. “Oh YEAH,” a female audience member replied, her enthusiasm captured on a stranger’s iPad. She was in her mid 20s and dancing in front of the stage in baggy clothes and a baseball cap. I wondered if she really did like the music or if she was the singer’s friend in civilian clothes. The Opera House steps were packed and all the best views had been claimed for hours with tripods and cameras. Barret and I had an hour to kill, but the food and bathroom lines were so ridiculously long that it just wasn’t worth leaving our cramped spot- besides, the band was now covering the best of Justin Beiber. While the pebbly texture of the steps pressed into my ankles and my feet lost circulation, I reflected upon the simpler times when one could rock up to the quay on a horse and buggy ten minutes before the ships entered the harbour. Not that I knew what it was like to find a good spot so easily, but I can imagine. How different these public events must have been when people didn’t need plastic wrist bands to get close to the action. The only reason I was even allowed to enter the cordoned off zone around the Opera House was because I had won tickets to a graphic novel festival. Once the lecture ended, I was urgently ushered out of the Opera House but allowed to stay in the area with the military band (now covering Miley Cyrus). My spot wasn’t worth that kind of auditory torture until a bunch of disgruntled tourists and amateur photographers decided to break past a barricade. With minutes until the start of the fireworks there was suddenly a void of people right up front on the balcony railing- the part of the steps that people were allowed to watch the show. Sensing my opportunity, I rushed forward and set my tripod up right behind the balding head of a 5’7” man. A few minutes later the gate crashers were kicked out of the restricted area and stuck at the back of the crowd. Yes I had a better view, but halfway through the show I noticed a dark dome-shaped smudge in the bottom corner of every image. That’s when I hoisted my camera above the crowd and produced my next series of pictures at crooked angles. It wasn’t my finest hour of photography, but the night wasn’t really about my photos or anybody else’s. It was about Australia, how much the country has matured within the last century, and about how much better fireworks look in the Sydney Harbour than they do anywhere else in the world. Not even Prince Harry could distract the crowd from that.